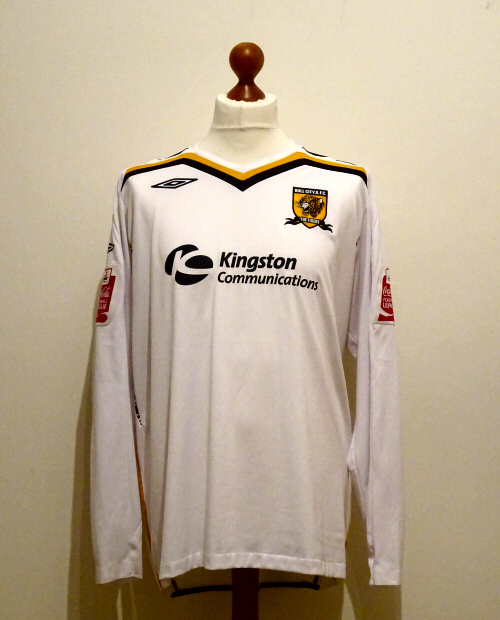 We believe that Umbro’s away kit for 2007/08, in traditional all white, is the best change kit Hull City have ever had. 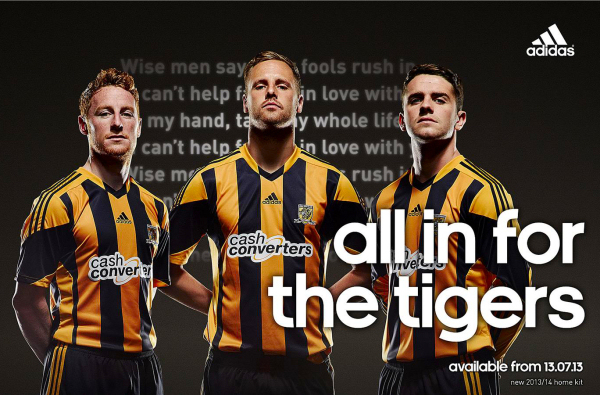 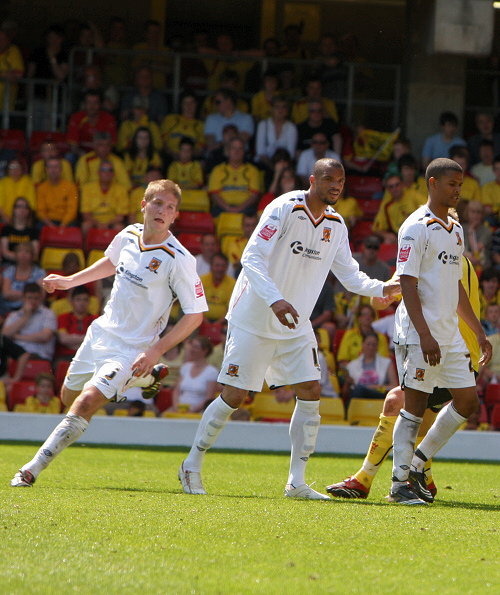 It is to date, the only away kit to have been worn by the Tigers in a play-off game, and this shirt was worn by million pound man Caleb Folan in the play off semi final first leg at Watford. 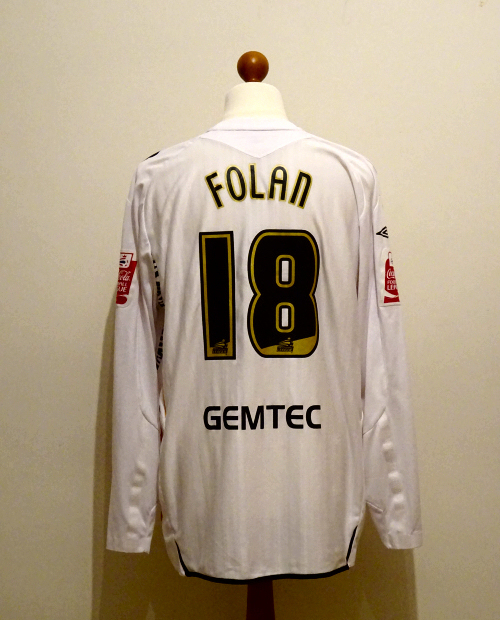 Folan evidently preferred very baggy kit, as this shirt is sized XXL. 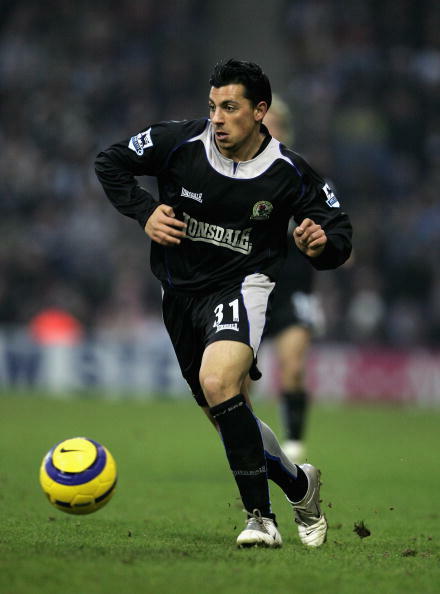 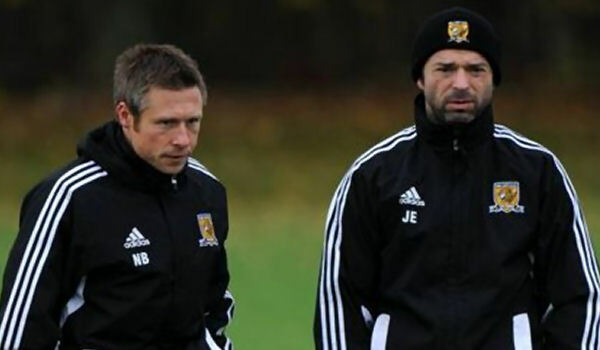 He was a substitute at Vicarage Road, entering the game in the 68th minute to replace Dean Windass in the 2-0 victory that set up a 6-1 aggregate win and a crack at the Premier League in the play off final.